It’s a magical time when building your dream backyard oasis, and US Pool Tile has the products to finish your masterpiece. We know your selection of tile, coping and mosaics are the capstone in your entertainment environment, and have made every effort to bring you the latest in style, taste and quality. The products found within this site are the highest examples of premium tile products available. From Italy, to the South Seas, to the Orient, US Pool Tile has searched the world to bring you the finest pool decor choices possible. As you dive in to your pool / spa decor design, keep an open mind to the possibilities and options open to you. A great tip to follow, be sure to inspect actual tile samples in the sunlight to preview how the sun, shade and water will play off the natural textures and hues in the tile. Keep in mind our tiles work in both interior and exterior applications, and allow you to extend your design ideas to create a larger, cohesive decor design. Our tile can even be used on outdoor amenities like BBQs, firepits, fireplaces and more to bring your backyard environment to its ultimate expression. e are here at your service. Sample requests are filled and shipped immediately, questions are answered promptly, and your comments are always welcome. Please contact us with any questions or to find your local showroom. We are here to help! 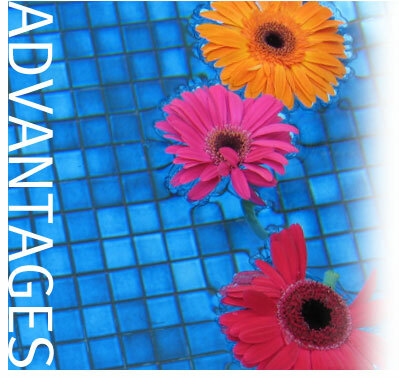 – By offering the finest pool tile and finish products available and maintaining our supply, we strive to earn our customer’s business every day. – By offering the best CUSTOMER SERVICE in the industry we hope to earn your business. – FREE samples are readily available upon request. – Your experience will be an enjoyable one, and we will always be sensitive to special needs and circumstances. – US POOL TILE branches work hand and hand with each other in order to support and serve our customers. We thank you for taking time to visit with us and hope we will have the honor of having you as a customer. Online display of product colors may vary from monitor to monitor, please review actual samples before installation. Online representation of virtual pools intended to assist in previewing final overall impression. Please review actual samples before installation.